Red and baby blue colour combination is one of my favourite looks, it is high-contrast and strong. 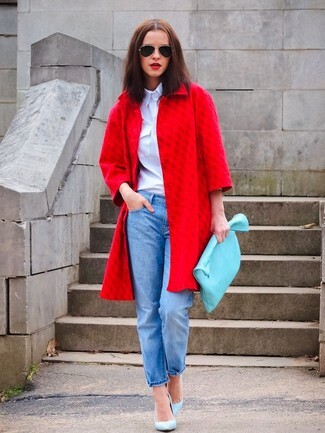 I love how you can totally transform a pair of light blue jeans with a tailored red jacket and a pair of killer heels. Bright colours are always in for summertime, but there's something about the classic combination of baby blue and red that really works during this time of year. Pairing red with a baby blue keeps things a little more chic and a little less superhero. When you combine cool, calming light blue with hot bright red, the result is almost always complimentary. Create a laid-back yet stylish everyday look by tucking a baby blue blouse into a pair of red shorts. Strappy flat sandals keep things comfy. 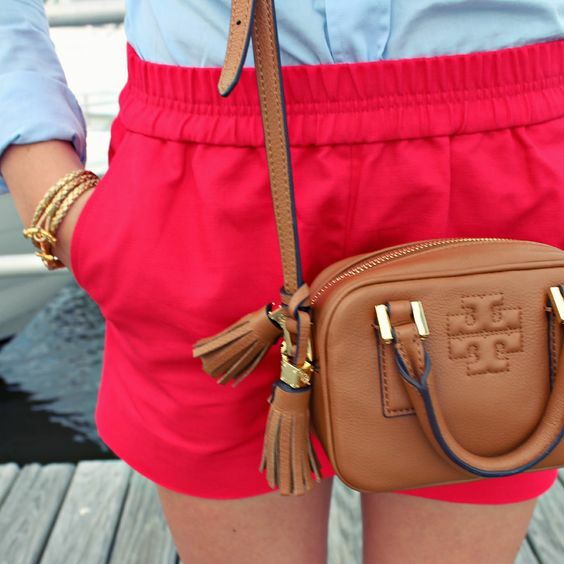 What do you think of wearing red and baby blue? is it a colour combination you would try? what other colour combination would you like to see feature? tell us by leaving a comment below.